These rangelands counties are in New Mexico and South Dakota. They do not experience many ignitions but once a fire starts it can burn large areas. This is a very high demographic stressed area. The response capacity to fire can be an issue due to the high stress and roadless areas. This group includes a large amount of tribal lands, so traditional ecological knowledge could be applied. Example of a Typical County — Torrance County, New Mexico: Separated from Albuquerque by the Manzano Mountains and the Cibola National Forest, this county has had large fires, but it has few residents. 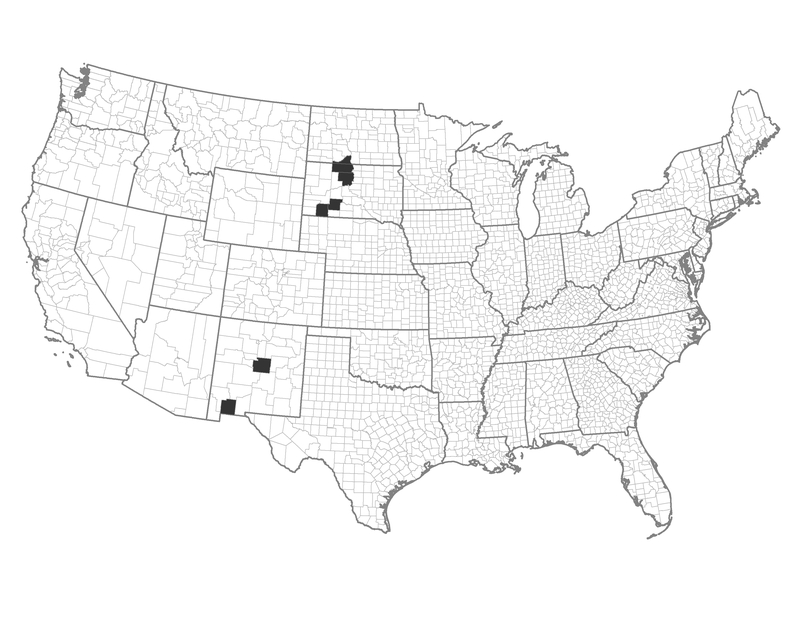 These are largely non-forested counties where regular use of mowing or grazing may be useful for reducing fuels.